This blog was originally published on Huffington Post and can be read here. In our digital age, the UK is facing a major shortfall in relevant skills, an estimated 745,000 jobs now requiring some level of digital capability. This digital skills gap costs the economy close to £63bn a year in lost income, an issue that needs to be tackled head-on with tangible solutions if the UK is to remain competitive in the global marketplace. If we are to close the skills gap, we must future-proof the UK’s workforce by focusing on equipping young people with the right tools and support to nurture their digital skills. The Government is increasingly active in supporting this aim, taking steps to make these digital skills core components of the national curriculum, alongside maths and English. 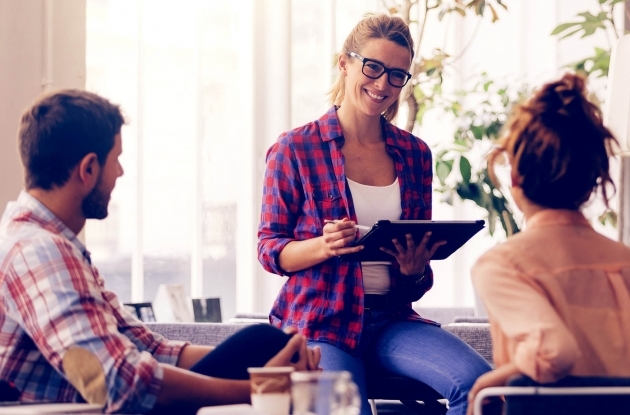 However, while young people are generally assumed to be ‘digitally versed’, there remains a disconnect in terms of the skills employers are looking for – which extend beyond a knowledge of social media and coding. There is now a growing demand for knowledge of more business related sectors such as cyber security, cloud, mobile and data analytics. As the UK’s only dedicated tech for good funder, boosting digital skills and encouraging digital inclusion amongst young people is a key part of Nominet Trust’s mission. To help fulfil that mission, we work with a range of partners including BAFTA, the Prince Andrew Charitable Trust (PACT), Creative England and Comic Relief, to drive forward creative initiatives aimed at narrowing the digital skills gap, particularly for young people in challenging circumstances. 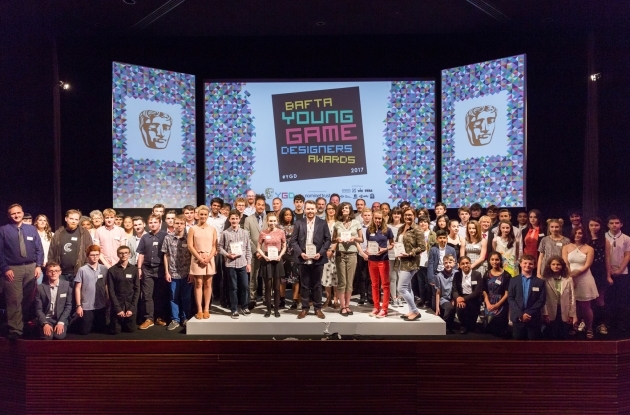 BAFTA Young Game Designers (YGD) inspires the UK’s game designers and game-makers of the future with an annual competition for young people aged 10-18. 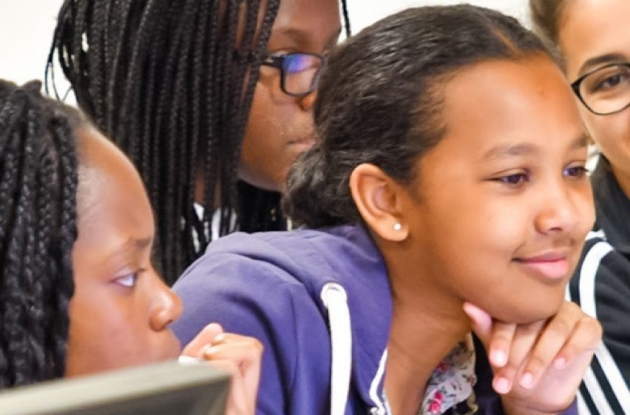 Nominet Trust, for the third year, is lead sponsor or this competition, which aims to inspire under-represented groups to pursue careers in game design, helping to close the industry’s gender gap, and encourage young people from all backgrounds to develop their digital and creative skills. The games industry makes a significant cultural and economic contribution to the UK; the YGD programme gives young people and educators unique insights into the industry, offering them access to the creative minds behind some of their favourite games, and opening up valuable support networks to help them pursue future careers. Another great initiative helping with the advancement of digital skills is iDEA, founded by The Duke of York, KG and Nominet Trust. Created to help young people develop their digital, enterprise and entrepreneurial skills, the programme aims to boost self-confidence and increase employability skills. With funding from Nominet Trust and other partners, iDEA has championed the creation of industry endorsed “digital badges”, accessible via an innovative online ‘Badge Store’; these offer a variety of challenges created with employers, allowing young people to develop skills and gain valuable accreditation for their CVs to complement academic achievement. Badges include the ‘Citizen’ badge covering digital awareness, safety and ethics and the ‘Entrepreneur’ badge focussing on bringing ideas to life. In January 2017, iDEA launched the Bronze Award which recognises achievement in collecting a varied portfolio of digital badges by completing challenges which can either be digital modules or real-world workshops and events. Importantly, to promote equality of access, iDEA’s resources are completely free, and available around the globe for anyone to use on any modern device, browser or operating system. The £1m iAMDigital Fund, launched in October 2016 by Nominet Trust and Creative England, is helping to close the digital skills gap by investing in organisations that are creating accessible pathways to digital engagement. With an emphasis on improving the employability of young people outside of London, this inclusive programme is supporting the regional growth of the UK’s creative industries by developing a more diversified talent pool. Although technology has made information more readily available, young people in underprivileged areas continue to face disadvantage when it comes to enhancing their digital skills. Comic Relief and Nominet Trust set out to address this challenge by investing £300,000 to develop WaveMaker Stoke. This pioneering digital maker space and creative innovation centre in Stoke-on-Trent, Staffordshire, is stimulating the area’s start-up economy and boosting employability in the region. WaveMaker aims to inspire and enable a new generation of engineers, coders, creators and makers to understand the potential of digital technology and how it can be deployed in exciting and innovative ways. The project brings together local tech and education companies including Staffordshire and Keele Universities, PM Training, YMCA North Staffs and Code Club West Midlands, with the aim of creating a permanent technology hub in the city centre. To close the digital skills gap in the UK, we need to harness the ‘fusion effect’ of partnerships to create the strong and innovative programmes required to overcome the challenges facing many young people today. Nominet Trust’s support enables young people, whatever their circumstances, to develop essential digital skills, raising aspirations and encouraging individuals to realise their potential in stimulating and creative entrepreneurial and career opportunities. The benefits for the young people who engage are evident and, at the macro level, their achievements support the UK’s economic success.